My group Three Peas (Ariel Soon & Marina Menéndez-Pidal) has come to a conclusion that about 95% (52 people surveyed) enjoy nature and like being in nature, but most feel uncomfortable when staying in nature for a prolonged period of time. 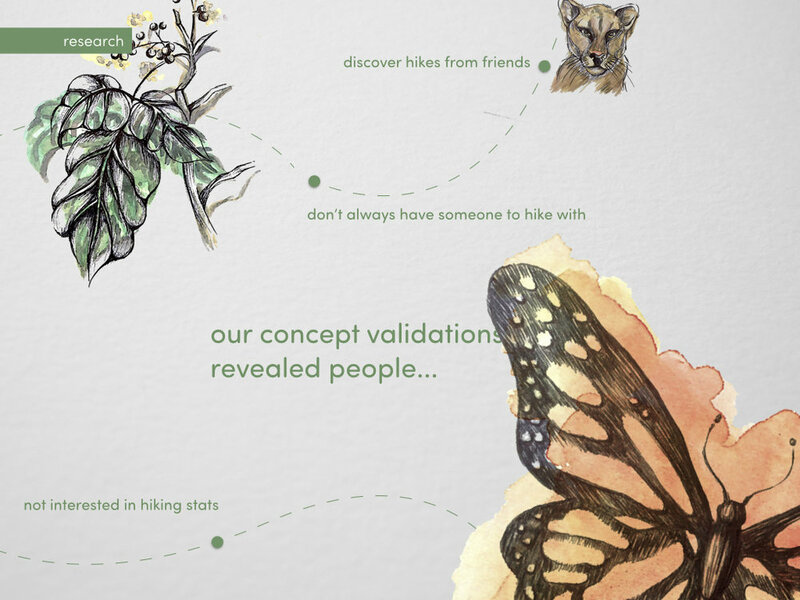 Uterra focuses on getting people outdoors and to find new trails that are possibly unfamiliar. 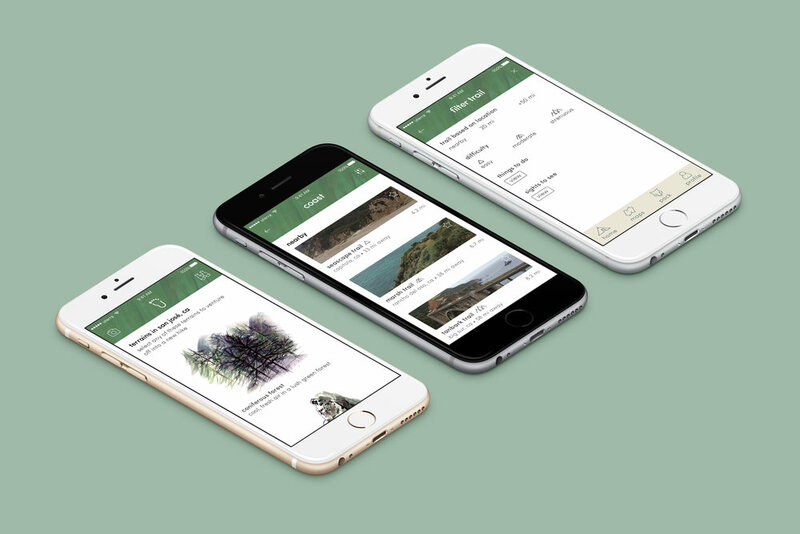 It lets people see connect through hiking groups that are interested in sight seeing different animals and plants along the way. My role focused on the icons, watercolors and screen flow. 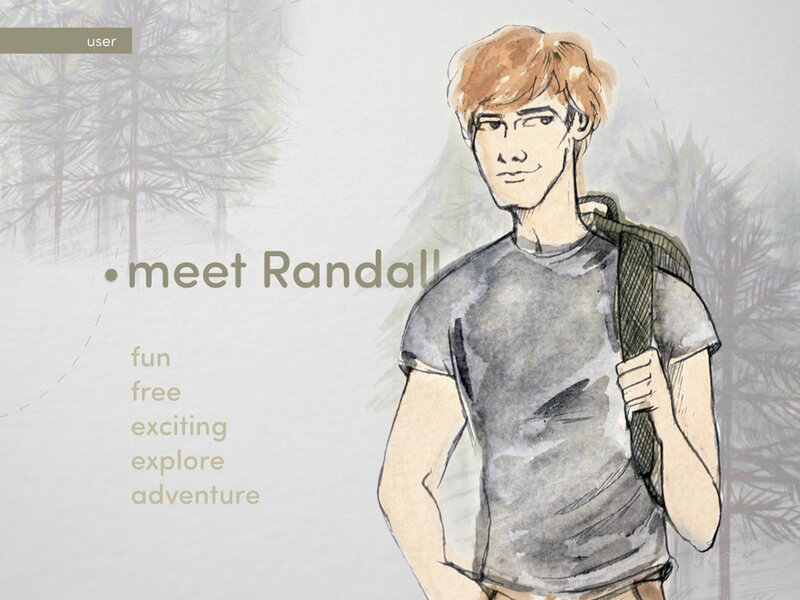 Randall wants to go hiking but his friends leaves for Las Vegas on that weekend. He downloaded uterra. We concluded that people created empathy when they where around others and sharing experiences. 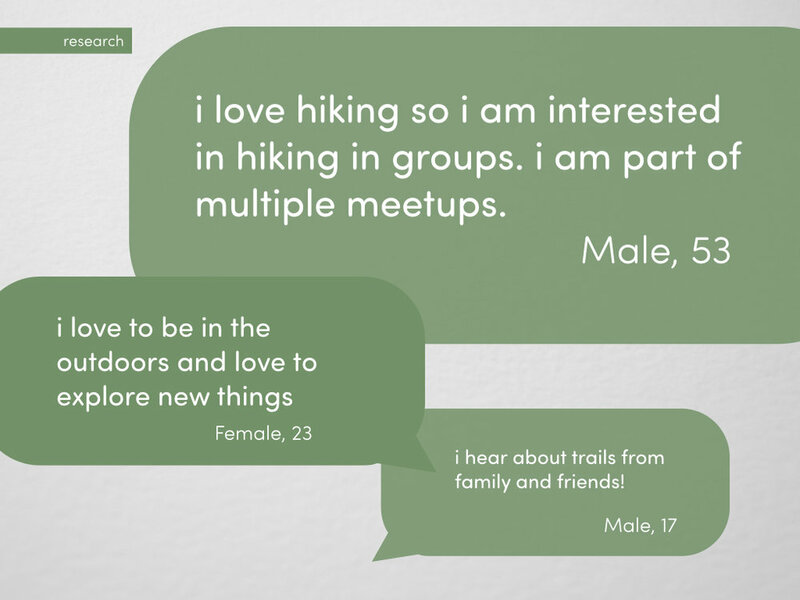 Through the hiking app, users are able to track trails and groups that were similar to their interest. The sharing options provided to be impactful in terms of giving a review on a trail or posting pictures of what trails offered.